What’s up everybody? 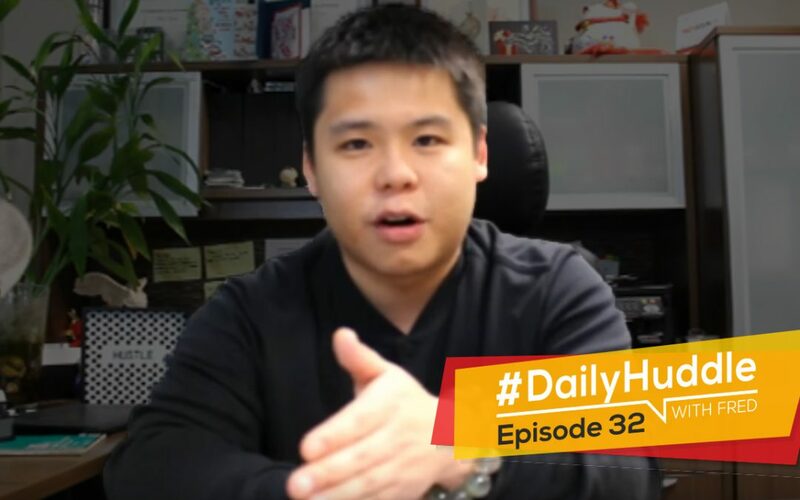 Fred Lam here and welcome to our daily huddle episode number 32. 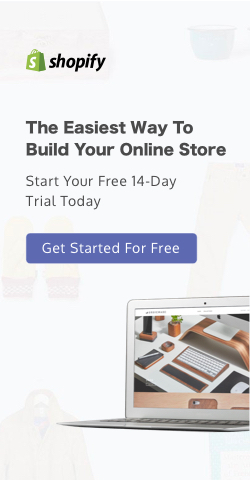 We have an amazing topic today which is, ways that you can actually use to increase social proof for your store especially if you’re on Shopify in order to increase sales. Here’s a truth that I have to tell you, when it comes to buying online people love social proof because obviously they do not know if the website that they’re on which is your website is real or scammy website. With that obviously a lot of people look for social proof which really helps out a lot on the decision making for that person when they see your ad, click on your ad or if they want to buy the product and before their second thoughts kick in mind which is thinking if you are a legit business or not. Social is actually very, very important. As a matter of fact, one of the questions that got brought up to me was about this specific question so I definitely want to feature it today. Right now, it is 9PM Pacific, midnight Eastern and I know that the time that I come on during Thursdays is really, really late. The reason why again is that every Thursday I have a Members Only workshop where I share my latest strategies and all my stuff with them, give them the latest training so it pushes back all my time to come on live pretty late. Thursdays are always going to be the night where I go like, “Alright I have to head back to the office right after dinner just to get on live for the daily huddle” to actually show you guys how dedicated I am because obviously dedication is very important. I’m dedicating a lot of my time to you guys to answer five questions every single day regardless of where I am in the world. At the same time, I want you guys to have the same dedication towards your own knowledge but most importantly towards you and your business because seriously you owe nothing to anyone. You owe it to yourself. The success that you want to accomplish, the knowledge that you want to gain is basically something that you owe to yourself. You don’t owe it to your family, to your girlfriend or boyfriend or whoever in your family member or a friend. It’s all drilling down to yourself because the more knowledge you have, the more opportunity that you get on to and the more opportunity that you can get on to, guess what? The better off you’re going to be, the more successful you are going to be. With that, on YouTube I have to give a big shout to Michael Jamieson. He is on in every single live video that I do. He never misses a single one and he is always the first person to be in my YouTube live every single day and I call that dedication. Let me dive right into the questions first before I actually go in and talk more about strategies on how you can actually increase your sales with social proof. If this is the first time you are joining us before I go into the questions, welcome to our daily huddle. If you guys don’t know what the daily huddle is, every single day Monday to Friday I am live at around 6PM Pacific, 9PM Eastern except Thursdays and Fridays which are always off times for me, to answer five burning questions. If you have any questions with your business or you’re stuck on your ads or anything in particular that you want me to answer, simply go to www.fredlam.com/ask. There’s a link above this video on Facebook and right below on YouTube in the description where you can actually click on it and submit your information. Don’t do it right now, do it right after we’re done. [0:04:42] Question 1: do you also targeting audience by Behaviors > Purchase behaviour> Engaged Shoppers AND the amount of Income? That is a good question Sajie that you brought up. I remember I answered a similar question in our daily huddle before and it’s very important I actually set the stage first. Sajie I’m predicting and I’m assuming that you are located in the United States. If you are in the US, you guys actually have more targeting capabilities than anyone outside of the US. I don’t know why; I did investigate into it to actually drill it down a little bit more but I think that the answer that I got was basically BS. If you’re living in the United States and your ad account is in the United States, you have the privilege to advertise to people based on their purchase behaviour and also their income status. This is actually not applicable in Canada where I am in and I know that a lot of countries do not have this function at the same time. To be honest with you, I don’t have the capability so I don’t know and I don’t know the answer to that. Through the years of advertising online and for me understanding how targeting works and how the mindset of behaviors are for people who are shopping online, you really have to test it because at the end of the day there can be audiences that I would think it won’t work but if you have the right product and the right creative, you can actually turn that audience into profit. I’m not sure what you’re selling and what you have to offer. If you’re selling a physical product going after purchase behaviour does make sense because they are already telling Facebook or the data showing back to Facebook that they’ve been buying similar items in the past and that is a perfect audience for you. Again, not every single audience is going to convert for you. If that’s the case, well guess what? Then you’re going to make millions and millions of dollars if you can actually get every single audience to convert for you. But the truth is you can never get every single targeting to convert because there are different behaviours, different mindsets and a product variation can affect things. To answer your question in short, the answer is NO because I don’t have that capability but if I were you I will seriously test it out. That is something that you have access to where I absolutely do not have. [0:07:39] Question 2: What is the process for adding and managing products and orders from other sources besides AliExpress. Are other suppliers directly connected with Zero Up like AliExpress is? Do you have training up that explains the process somewhere, if so, where would I find it. What is the process for adding and managing products and orders from other sources besides AliExpress. Are other suppliers directly connected with Zero Up like AliExpress is? Do you have training up that explains the process somewhere, if so, where would I find it. Thank you! El I believe that you are one of our Zero Up members I think based o what you are saying. At the end of the day, the easiest way for you to drop ship products is going to be in AliExpress. There’s no doubt about it and you are going directly to the manufacturer and right to the source to actually get your product. Are there any other suppliers that you can actually go after? I remember it was I think two episodes ago; I talked about a couple of options that you can go after. You can look at doba.com. However, doba.com is majority of resellers where you resell products that you can drop ship, so the margin isn’t that great but it gives you more variety and more products to actually sell. At times, you are also going to get licensed goods on that site for you to actually sell. The other one that you can actually look at is wholesalecentral.com. This is not going to be an easy process because you actually have to go ahead and contact every single supplier and ask them to drop ship for you. Now, not every single supplier in whole sale central is going to allow drop shipping because obviously whole sale central, the website stands for itself already. 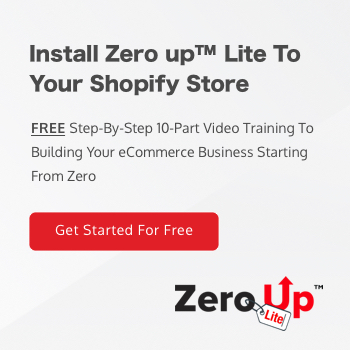 People buy things based on whole sale so it’s in bulk and I don’t think that is a wise move for you unless if you are already doing pretty well with drop shipping then that is something you definitely want to look into. With that if you are a Zero Up member by near the end of January I’m releasing a module about scaling out words and basically having a more of a bigger infrastructure and team building and finding and attracting these kind of suppliers to your website. I’m going to cover all that if you are inside Zero Up. [0:09:57] Question 3: How to generate trust in people so they want to buy me if i don´t have any social proof?...How should i start gaining social proof with E-commerce? Hi Fred Thanks a lot for the training… I”m a MAN. haha My question is: How to generate trust in people so they want to buy me if i don´t have any social proof?…How should i start gaining social proof with E-commerce? This is the question that inspired me to come on and talk about this topic. We are living in the world of social proof. It is true because if you see that a post has a lot of shares, likes or comments you go like, “Wow, this is something that I definitely want to look into right away.” Right out the gate from that level it helps but it doesn’t have that magnitude. Basically, social proof does help but on that level it’s really drilling down to the targeting, to the product and how you actually write your ad itself to attract that person to click. Here’s the thing though, when the person clicks on your ad and goes to your website you need to have some social proof in order for you to increase conversions. It doesn’t that mean you absolutely have to have this right out the gate but this is something that you should cultivate and should actually have strategy in place to have this social proof element right out the bat. First things first, the first app that I would tell you to actually have, obviously for ecommerce it’s going to be Shopify. The app that is going to allow you to have social proof is Sales Pop. It’s absolutely free on Shopify. What it does is that it gives you social proof to the user on who has recently bought from where and what products because those are alerts that come out a notification at the bottom or top or right or wherever you want it on the site to let people know that there are people buying on the store. Again, it helps on that way because people go like, “Oh ok, so and so bought this product before from this city so obviously this is a legitimate website or else people are not going to buy.” If it’s right out the gate you won’t have anything because you don’t have a sale yet. So, here’s a trick that I can give you. I did not tell you this, pretend you didn’t hear this. You can actually be your own customer and order the product and it would trigger the social proof because the notification doesn’t show your name. It only shows the city, the country and the product that was purchased. It doesn’t even show the price so you can actually have a free item that you use a coupon code on Shopify so you don’t have to pay for it and have that one social proof running. That helps! The second thing that I did not share to any people in the public is an app that I forgot the name on top of my head. And if you allow me a couple of minutes I can actually dig up for it. I’m not going to dig up for it; I just going to talk about it tomorrow in our daily huddle. There is also an app where it basically acts like ebay. When you are on ebay you will see a fire symbol and says that how many people are viewing this product right now. This again if it’s a brand new website it helps you because it creates scarcity, people go like, “Well there 20 people are viewing this product right now, chances are they’re going to buy. I should buy right before them.” It has that mentality in place. It’s kind of like when the Apple IphoneX came out, people were all lining up, camping outside of the Apple retail store and when see it you’ll be like, “Oh I should be lining up too because I can’t get that.” If you got to other countries or in any other places or you’re walking down a mall and all of a sudden you see a line up to something. What do you do? It builds your curiosity on what the heck is happening, why are people lining up for it and then what happens is that you’re going to line up too because you wants a piece of it. That really helps a lot. 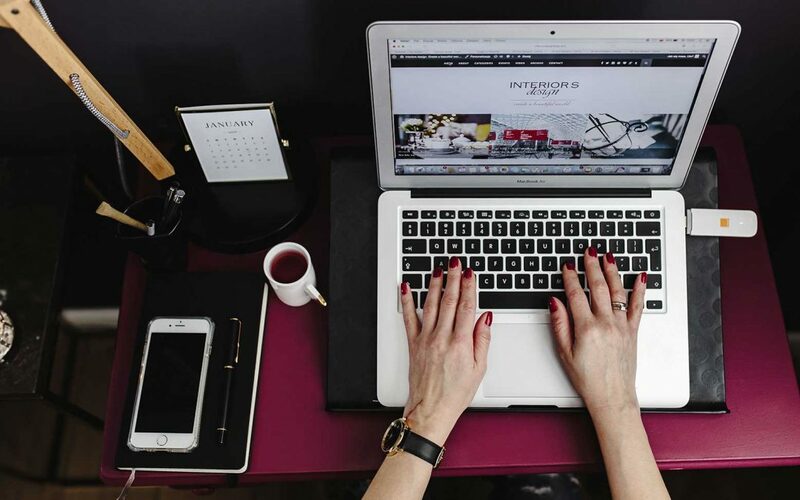 The third thing that really helps especially if you are new to drop shipping but it is a bit of a dangerous territory and it is something that you have to have a strategy in place which is cultivating reviews. On every single Shopify theme, it gives you the ability to enable reviews. A lot of people now when they buy products online they look at reviews. They want to see what other people are saying about the product and that’s what you do too. I bet you, if you are an Amazon person that buys a lot of stuff on Amazon which I do. 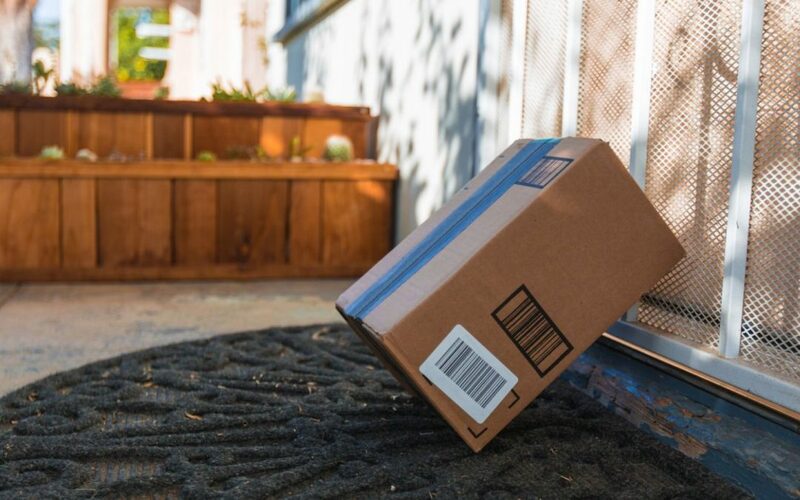 I bought a ton of stuff on Amazon it’s just because I am obviously lazy. I don’t want to go to a shopping mall. I buy the most random things on Amazon, things that I can actually get at a local store like the ice melter. I could have bought an ice melter at a local store but it’s 25 pounds so I was too lazy to go and carry it so what I did I get Amazon prime and bought the product. At the end of the day, why I’m talking about that is because when I was buying my ice melter there were a lot of brands out there and what made me decide which to buy is based on the reviews. When I see a lot of five star reviews, I know that hey if there is a good review then this product is good, I don’t think there’s going to be a problem. That translates to your website at the same time. You want to cultivate people to give you five star reviews. Why I’m saying it’s a little bit dangerous for drop shipping is really because of one thing, if you are not making sure that the quality is good or if there are shipping problem like your customer never received it and got an email asking for them to review it then they’re going to give you a bad review, obviously that is not good. What you have to do is basically time it out and I usually do it around after 30 days so I know that the customer will receive the product then ask them and email them for a review. If you’re using Conversio there is that template for you to cultivate a review. Another one is simply setting it in your auto-responder so if you’re using Sendlane you can say that when a customer actually buys form you 30 days later they will receive an email from you asking about their review and go from there. Here’s a trick that I can share with you if you’re using Shopify review that app with Shopify themes what happens is that you can actually market in a way where all the reviews don’t show. You have to approve the review to actually have it on to your site. Please do not say that you heard this from me. You can basically just choose the good ones and have it on; the bad ones just leave them off. You just have to show the right ones to the public. Those are the things that you would do. Again, I owe you guys that name of the app, I forgot what it was. Now here’s the thing though, if you guys are not in Shopify and you still want social proof for your opt-in page and all those other stuff, I would love to give you an affiliate link but I’m stupid enough not to make one but it doesn’t matter. It’s just a freebie for you guys. My two buddies Mark Thompson and Matt Callen they created a software called Provely. What it does is that each time someone actually opts-in into a landing page, it will actually show a notification like someone actually purchased but it will say this person actually just opted-in into this webinar or opted-in and got this free report, no social proof. Again, I’ve seen a lot of case studies that it helps, at times I’ve been hearing people say it didn’t really help so you want to test it out. Provely isn’t that expensive from what I recall. You want to take a look at that. [0:20:13] Question 4: How successful can I become with using only the 'conversion' campaign? If success does come, how long and and how much will that be.. do you think? How successful can I become with using only the ‘conversion’ campaign? If success does come, how long and how much will that be.. do you think? James here’s the deal, if I can predict and fortune-tell this stuff I don’t think I will be here right now. I will be in Dubai in that crazy tower and flying private jets all around the world because at the end of the day I can make prediction but that’s not the truth to be honest with you. I cannot say how long you can become successful, how long it takes for you to become successful or are you going to be successful or not. It is a completely different topic and the topic that I can’t rant about for the longest time. Here’s the most important part, in order for you to be successful you have to be dedicated and you must take action. I see a lot of people who actually attend my daily huddles and webinars and all my workshops [inaudible 21:21] action. At the end of the day you are stopping yourself from being successful. It’s also a mindset thing. All the business models that I share with you guys and people like Onic who shares amazing business models that absolutely works. Why not more and more people become more successful is really because a lot of them just don’t take action with their training. They don’t even do anything with it. They can listen to it, they listen into something but they don’t do anything with it and that really sabotages your success. That’s very important stuff that I need to bring up to you. I kind of went off topic a little bit but let me talk about conversion campaign. When you’re running a Facebook ad you always have to run website conversion because this is what you want. You want Facebook to serve your ads and the goal for running the ads is simply either a purchase, an opt-in or whatever you desire that’s going to help you with your business, maybe a lead for your plumbing business or whatever. When you tell Facebook that specific data Facebook will help you serve to the people that will most likely going to convert rather than when you go like, “Well I want to go after post engagement ad.” Yes, you can build social proof from there but are you going to be just wasting money? Because Facebook is just going to serve the ad and once someone likes, shares, or comments it just stops since Facebook was told that you only want engagement. With that you’re not basically turning your ad money into profit because you’re not even telling Facebook that you want that to happen. That’s why you always want to go with conversions and that’s very, very important. Your second question, if success does come. Here’s the problem that you have, your mindset needs to get changed. Don’t say “if”, there’s no such thing as “if” because if you “if” it that means that you are skeptical, you don’t believe it and you’re not going to take action because you’re just going to think about it. You need to experience the process and start doing it and you need to absolutely do that. Again like I said, there’s never a single guarantee on how long and how much it will be to become successful. I don’t even know what your definition of successful is going to be. My definition of successful is different than yours and all those other stuff. [0:24:11] Question 5: When should you use manual bidding? When should you use manual bidding? It’s a very fair question. If you guys are just starting out on Facebook I will ask you to actually close your ears because this is more for advanced individuals for manual bidding. When you set up on Facebook, everything is going to be automatic bidding. When you set up a Facebook ad, Facebook will decide if how they’re going to have you placed into the auction. However there is something called manual bidding. You can tell Facebook specifically that you want certain cost per click, you want certain CPM, or you want certain cost per acquisition. Majority of the time you want to actually have Facebook to convert when you’re doing manual bidding is basically cost per acquisition and you set an amount in there. You need to understand one thing, ultimately at the end of the day every single advertising network is auction based. Yes, there are things and variables involved such as quality score, ad rank, relevancy, click-through rate and all those other stuff but if we strip down to the core of all advertising platform and this goes to YouTube, Google, Bing, Facebook, any online advertising platform, it is all auction-based. Whoever can pay the most will win. That’s why when it comes to Q4 of every single year, what we call CPM always gets super expensive it’s because people are bidding more and more and more and more. The auction is bidding more and more and more. Even though Facebook is “automatic bidding” since that they automatically bid for you but the more advertisers there are and the more people using automatic bidding and the more people targeting the same audiences, well guess what? It becomes a bidding war. When you keep the ad running then Facebook will know, Facebook will keep increasing the benchmark and keep increasing the CPM because people are still fighting for the spot. So, you need to know that first. Every single advertising network is auction-based. Why I am giving you an entire background or story about auction-based advertising? It’s because when you go into manual bidding what happens is that if you bid a cost per acquisition too low you will not get enough attraction to get into the auction and even get any ad reach. Let me repeat that, if you bid too low you will not get any ad reach because you are not paying high enough to get into the auction. Facebook actually automatically assign even on their auto bid a $30 CPA regardless if it is a purchase, a lead or whatever. If you want to take advantage of manual bidding and that’s what you are asking me Ben if when you should be using manual bidding. It’s when your average order value is going to be over $60. If Facebook’s benchmark is $30 they know that the entry level is $30 but if you are able to have $60 AOV you can bid higher than $30 and say that “Well, I have an average order value of $60. All my cost of goods, everything combined is going to cost me $30.” Then bid $40. So when you bid $40 you are going to wipe out your competitors and you are going to get your cost per purchase at around $40. That’s what you have to do and that’s when you have to start using manual bidding. Again, you need to have a higher AOV in order for you to use manual bidding so if you can’t even get over $30 AOV number, there’s no point of looking into manual bidding. There is however another way that you can “gain” the system but there is going to be more risks involved. I have seen several case studies and even our brand ambassador Connor had tested this and he had seen some success and failure here and there. It is when let’s say that your AOV is going to be $15 but you are still aggressive and goes into the auction of like $40 right out the gate then Facebook will prioritize your ad over any of the people’s ads. And when you get prioritization, guess what? You may get cost per acquisition lower than $40 and lower than $15. Now, is that going to be sustainable? Not always but that really opens up a lot of risks for you. If you’re bidding $40 then at the end of the day, you need to actually have a budget of $200 in order for the system to even get attraction. It’s not going to work for $5 campaigns. That’s really it for our daily huddle for today. I know that it is very, very late. It’s really not normal that I come on this late but again on Thursdays I do come on this late. Anyway, at the end of the day there’s going to be a big public statement announcement that I’m going to make. Hopefully, I’ll get the answer by tomorrow if not it’s going to be after the holidays about a new article or new policy that Facebook has releases a couple of days ago that drove a lot of people nuts which is Facebook engagement bait. I have been on top of this issue once the policy came out but I’m getting mixed answers right now from Facebook so I don’t want to publicly talk about it yet. Once I know what it is then I’ll tell you guys and share you guys what it is. To give you guys a background story, last Tuesday Facebook released an article saying that they’re going to be fighting engagement bait and it’s a very, very vague policy that they implemented and how is that going to have impact, I don’t know yet. What I can tell you though is that, in order to be absolutely safe for your future ads do not ask them to like, share, tag or comment below. Do not do that for your new ads because it is still up in the air right now if that specific policy is going to cascade down into the ad level. I know for a fact that it is going to affect Facebook pages because I know that a lot of Facebook pages do abuse that a lot. Based on the article that I’ve read that Facebook had officially made a statement about it, to me it reads like it is an organic post. It doesn’t seem like it reflects on an ad but I’ve been getting mixed answers from Facebook directly that it may trigger down to the ad and it may not. I don’t know yet and I want to drill down to the culprit and get a firm answer before I make a public statement about it and share with you guys what impact it will do and what are actions or steps that you guys need to take. I just want to share with you guys that I am all over this, I am on it already. I’m only doing this because I don’t want to give false information out and I think that it is wise for me to speak to you and tell you a little bit about it that there is something that Facebook had released and I don’t know how that will unfold until I get a firm answer on what is happening. Again, I’ll share that once I have all those information. Other than that, that’s really it for today’s daily huddle. If you have any questions that you want me to answer simply go to www.fredlam.com/ask or click the link above this post on Facebook or right in the video description on YouTube and submit your question and I will get it featured in our daily huddle. If you are on Facebook please like this post, like and follow my page and if you are on YouTube make sure you subscribe to my channel. If you guys are on YouTube please comment below tell me what you guys think about today’s session. Most importantly make sure you subscribe to my YouTube channel so you guys get notification once I come on live in our daily huddle. There’s going to be a lot of amazing content that I’m going to release in 2018 so if you want to basically get all my latest training before anyone else gets on it, subscribe to my YouTube channel. That’s what I want you to do. I look forward on seeing you guys tomorrow in our daily huddle. It’s night right now, so good night if you are basically on the other side of the world, good morning. Bye now.